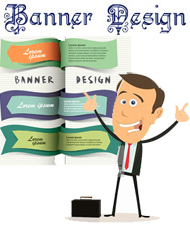 Products / services brochure design services at PcPatchers Technology assist business firms coming from all sizes as well as industries to mention their meaning with skillfully design brochure & inventories, advertising stuff and notifications. Whether you'll need a mailer design, a flyer design, tri-fold or Z card brochure, sales brochure, marketing brochure, training handbook, booklet, pocket folder or maybe a catalog design service, we've the expertise to offer professional brochure design of your timeframe. Our creative brochure design crew assesses your own objectives, research, and photography to create corporate brochure or brochure design. We produce; print as well as deliver catalog design on your complete achievement. Once you decide to get your own brochure design done by Digital Disciplines, our brochure design team will let you through available designing process till you obtain satisfactory results. Displaying Advertisement Banner online can be a new way to obtain more exposure for almost any website. Without investing enough time and income, attractive banners deliver professional searching promotional equipment. PcPatchers Technology designs unique and also professional banners which have been well worthy of the needs of your company’s requirements and can handle catching a person's eye of buyers worldwide. We focus on designing adobe flash Banner Pattern, Ad Banner Design and more. 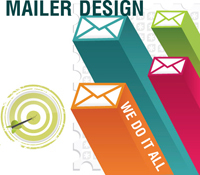 PcPatchers mailer design service focuses on designing effective Email Campaign Design that not only reach out to the user, but also catch users attention. Our Professional mailer design team creates mailer designs and flyers that create impact of brand identity as per your company marketing strategy.